How I got this book: Kristina contacted TB&TB, and offered up a copy if someone was interested. I snatched it up immediately. Why I read this book: I was born in Japan, and was excited to read a book with ties to my birthplace. "A skilled violinist sacrifices her career aspirations and family's approval to secretly elope with her Japanese American boyfriend -- the night before Pearl Harbor is bombed. Torn between sides, she will make choices few people in history dared. Skillfully capturing one of the most controversial episodes in recent American history, Kristina McMorris draws readers into a novel filled with triumphs and heartbreaking loss--an authentic, moving testament to love, forgiveness, and the enduring music of the human spirit." I was incredibly excited to have the opportunity to read this book. Japan is filled with amazing people, and I can't imagine the prejudices they have dealt with, especially during the time period of this story. I really felt for Maddie and Lane throughout the entire book. Their relationship was kept a secret, they had to elope last-minute because Lane's father had already picked out his wife, and then the war and accompanying tragedies split them apart and made their lives so much harder than anyone deserves. Both their families were incredibly against their marriage. Maddie's brother was so mad about it that it solidified his decision to join the army and fight the Japanese. I admire both Maddie and Lane for their strength, for following their hearts, for looking past the opinions of others, and for sticking with each other, no matter the hardships involved. I learned a lot from this book. I was not aware of the camps the Japanese-Americans had to stay in once Pearl Harbor was bombed. You only had to be 1/16th Japanese to receive this kind of punishment. Children were taken from their families. Some of the Japanese-Americans were forced to enlist in the US Army and spy on the Japanese, translating documents and sneaking into the fields at night to eavesdrop on their plans of ambush or attack. I'm grateful to Kristina for educating me. Kristina's writing style is gorgeous. She uses symbolic and lyrical passages that distract you from all the underlying sadness. I felt so many different emotions throughout. The heartwarming romance, the constant hope of a better life for these people, and the devastating tortures and death. 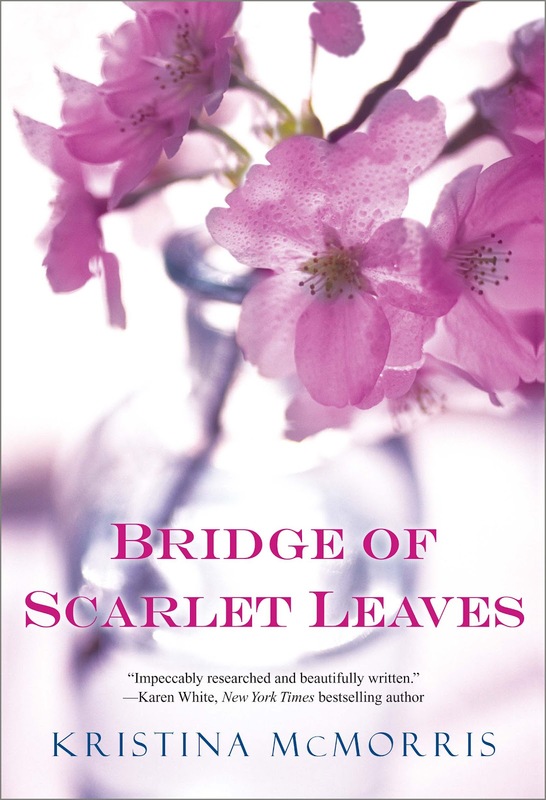 The Bridge of Scarlet Leaves a versatile read, and has a little bit of everything. Kristina painted the war as it really was, and I think it's good to be reminded of what mankind is capable of. I think the main message of this book is to remember our pasts, learn from the, and make changes to better the future. I love that! The recipient of nearly twenty national literary awards, Kristina McMorris is the author of Bridge of Scarlet Leaves, declared a "gripping story [that] hits all the right chords" by Publishers Weekly and a "sweeping yet intimate novel" by Kirkus Reviews. Her critically praised debut novel, Letters from Home, inspired by her grandparents' WWII courtship, achieved additional acclaim as a Reader's Digest Select Editions feature, a Doubleday/Literary Guild selection, and a 2011 Goodreads Choice Awards semifinalist for Best Historical Fiction. A host of weekly TV shows since age nine, including an Emmy® Award-winning program, Kristina has been named one of Portland's "40 Under 40" by The Business Journal. She lives with her husband and two sons in the Pacific Northwest, where she refuses to own an umbrella. Great review, Jana. I love it when I find a book that connects with me on such a personal level, too. When I taught grade 10 Canadian history I got to teach about the Japanese-Canadian internment camps on our west coast, their possessions confiscated. I got the kids to do parallels between how we treated these immigrants with how the Jews were treated in Europe (Ven diagrams are such nerdy fun! ), mostly to help them realise that it wasn't a matter of Hitler=bad, us=good. After all, the Allied countries turned away boatloads of Jewish refugees because they were all pretty prejudiced against them. Wouldn't have killed them, but didn't want them (or the problems they figured they'd have with them). It's all so sad. But I had never heard of any of this when I went to school back in Australia - we're terrible at studying history, much to our shame. It wasn't even a subject offered at my high school (no funding). But I hadn't heard of the Japanese-Americans being forced into the U.S. army before. I'm surprised at it (I wouldn't have thought they'd be considered trust-worthy enough), and yet not. And I'm glad they got an apology. 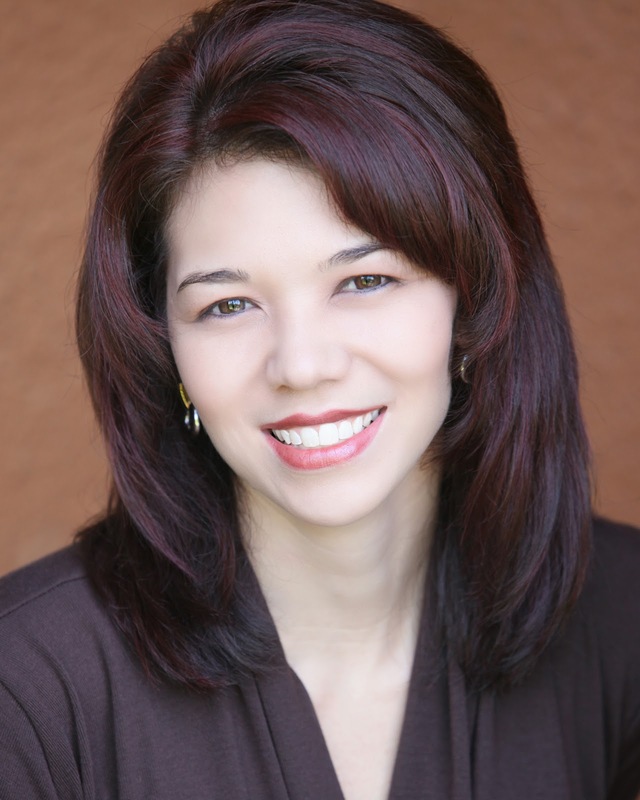 Shannon, thanks for sharing your experience! I didn't know the Japanese-Canadians went through something similar. I've never learned about Canadian (or Australian) history. I got a survey of the ancient World, but that was about it. There's so much we don't know about other countries, and there is SO much to learn. This sounds like such an interesting perspective on WWII historical fiction. Great review! Jana, I'm so happy the story touched you. Thanks once again for the thoughtful and generous review! You're welcome! Thanks for sending it to me! This book sounds INCREDIBLE. I've always admired authors who can take events in history and weave them into a tale that is compelling, truthful and interesting. It sounds like Kristina has done a wonderful job with this novel and I look forward to reading it, especially since I'm an ardent admirer of the Japanese culture. I think they taught the internment camps when I was in grade school, but it was something that was glossed over (Much like any history after WWII but that is another discussion..).